Hacienda is a new daytime music event that takes place in a park. Our next event will be at the Great Lawn on Treasure Island. 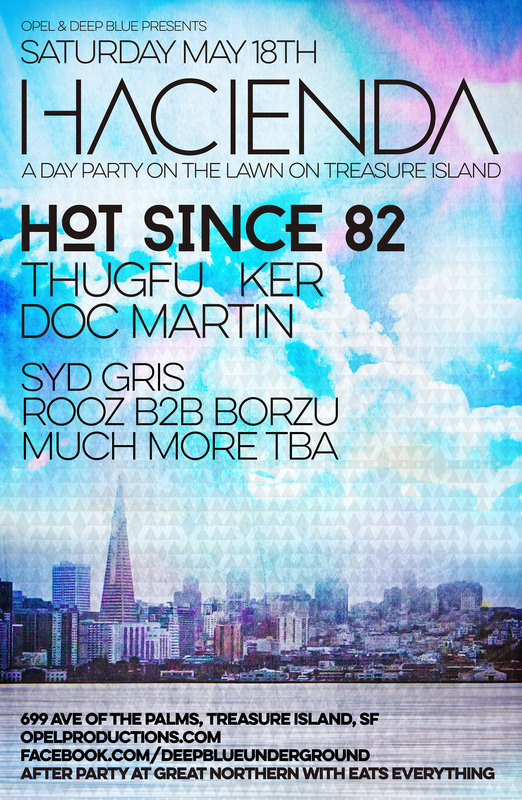 Pack a picnic and welcome into the Hacienda w/ Hot Since 82, Thugfu*ker, Doc Martin, and more TBA. -Yes you can drive to the island and park. Car Pooling & ride share encouraged!